Anthony Stadlen is a Daseinsanalyst, existential psychotherapist and family therapist, supervisor and teacher working in London. He is also founder and convenor of the Inner Circle Seminars: an international, interdisciplinary, ethical, existential, phenomenological search for truth in psychotherapy. This blogsite contains details of therapy and of past and future seminars. For therapy or seminars contact Anthony Stadlen at: +44(0)20 8888 6857, +44(0)7809 433 250, or stadlen@aol.com. In this seminar Donna Christina Savery introduces her research into echoism. Following seven years work with patients who have experienced narcissistic parenting or who find themselves in repeated relationships with narcissistic partners, she offers a new insight into narcissistic and co-dependent relationships. Returning to the myth of Echo and Narcissus in Ovid, from which the vast array of psychoanalytic literature on narcissism originates, she asks how and why Echo’s voice and story have become marginalised to the extent that she is simply called a co-dependent (reinforcing the very notion of dependency upon a narcissist). She explains how she has drawn upon psychoanalytic literature, existential philosophy and a daseinsanalytic approach to practice as a way of understanding this largely forgotten group of individuals. She has worked with individuals, couples and groups and presents in her book Echoism, published in 2018, the first complete theory of echoism. The Inner Circle Seminars were founded by Anthony Stadlen in 1996 as an ethical, existential, phenomenological search for truth in psychotherapy. They have been kindly described by Thomas Szasz as ‘Institute for Advanced Studies in the Moral Foundations of Human Decency and Helpfulness’. But they are independent of all institutes, schools, and universities. Professor John Lippitt is Professor of Ethics and Philosophy of Religion at the University of Hertfordshire and Honorary Professor in the European Philosophy and History of Ideas research group at Deakin University in Melbourne. He is one of the world’s authorities on Kierkegaard, and especially on Fear and Trembling. He is the author of many books and papers on Kierkegaard, including the pellucid and comprehensive Routledge Guide to Fear and Trembling (second edition, 2016). We are honoured that Professor Lippitt is co-conducting a number of our eight seminars on Fear and Trembling. Today he will guide us in depth through the third section of the book, ‘Tribute to Abraham’. This is the third of a subseries of eight all-day seminars devoted to this one short book, which is much cited and quoted, as well as misquoted, by existential and other therapists, but sometimes with little understanding of, or even relation to, the text, let alone the Biblical text it discusses. For example, the notion of a ‘knight of faith’, taken from this book, is often solemnly applied to a client in psychotherapy, without recognition of the comic resonances of Don Quixote in this description of Abraham, who set out on a donkey to sacrifice his son; and without awareness that in the Hebrew of the Biblical story there is no mention of ‘faith’ or ‘obedience’, but only of ‘trust’ and ‘listening’. Again, it is very rare for those who appeal to, or try to apply, the argument of the book to take account of the fact that its author insisted that its pseudonymous narrator should not be taken as representing his own position. These eight seminars are an attempt to remedy this situation. Fear and Trembling: A Dialectical Lyric, by a certain ‘Johannes de silentio’, was published in Copenhagen on 16 October 1843. Our eight seminars, the first of which was on 14 October 2018, thus celebrate the book’s hundred and seventy-fifth anniversary. Johannes de silentio, Johannes Climacus, and the other pseudonyms are like characters in a drama written by Kierkegaard. He called it ‘indirect communication’, a dialectic of different possible perspectives through which the reader is invited to work out his or her own point of view. Much commentary on Fear and Trembling and the other pseudonymous works is therefore naive and misleading, because it ignores Kierkegaard’s urgent request that their pseudonymous nature should be respected. Kierkegaard was the thinker who introduced, sometimes through this or that pseudonym (as he said, ‘with the left hand’), and sometimes in his own name (‘with the right hand’), the word ‘existential’ to convey the project of thinking with the whole of one’s being, as an ‘existing’ thinker, rather than constructing a ‘theory’ or ‘system’, which yet another pseudonym, ‘Anti-Climacus’, said in The Sickness Unto Death (1849) was like building a fine house in which one does not live. Ludwig Feuerbach also sometimes used ‘existence’ in this sense, but his project was to secularise religious thinking, whereas Kierkegaard’s primary aim was to affirm authentic religion as irreducible to social ethics. But Kierkegaard’s idea of authentic religion differed from everybody else’s. He had utter contempt for the Danish Church and for ‘Christendom’, as he called it. For him, religion meant something radically individual. But his vision of the individual was the very antithesis of an encapsulated, isolated, unsocial, worldless, reified ‘self’. Rather, as Anti-Climacus put it in The Sickness Unto Death, the ‘self’ of a true individual was a ‘relation’ which ‘relates itself to its own self’; it was ‘that in the relation that the relation relates itself to its own self’, while ‘resting in the [divine] power that established it’ and, as Kierkegaard insisted in his own name in Works of Love (1847), loving friends, family, spouse, children, neighbours. Fear and Trembling is itself a foundational document for existential thinking. Rainer Maria Rilke, Ludwig Binswanger, Karl Jaspers, Franz Kafka, Paul Tillich, Ludwig Wittgenstein, Martin Heidegger, Jean-Paul Sartre, Hannah Arendt, Abraham Joshua Heschel, W. H. Auden, R. S. Thomas, Thomas Szasz, R. D. Laing, Martin Luther King, Jacques Derrida, John Updike, David Lodge, and many others acknowledged their indebtedness to Kierkegaard. Others, such as Martin Buber, Emmanuel Levinas, and Albert Camus, grappled with him but could not avoid him. The meaning of Kierkegaard’s pseudonym’s interplay of interpretations in Fear and Trembling, and the interplay of this interplay with the positions of his other pseudonyms, has also been the subject of a continuing comprehensive conversation by generations of theological, philosophical, and psychological scholars for one hundred and seventy-five years. Wittgenstein, himself generally regarded as one of the most profound thinkers of the 20th century, held that Kierkegaard was ‘by far the most profound thinker’ of the 19th century’; he said: ‘Kierkegaard is too deep for me’. But Ernesto Spinelli, widely regarded as a leading existential therapist, has recently denounced Kierkegaard’s ‘dangerous folly’ in apparently admiring Abraham’s ‘self-evident lunacy’ in Fear and Trembling. This is in line with traditional clinical-psychiatric thinking, for example the psychiatrist Abraham Myerson’s 1945 diagnosis that Kierkegaard was ‘a psychiatric case’, whose writing was ‘a schizoid and certainly utterly incomprehensible presentation by a mind which is quite deviate’. Are these important demystifying insights into a pretentious and over-rated writer? Or is the existential tradition here degenerating into abject capitulation to uncomprehending psychiatric reductionism? Fear and Trembling is a ‘dialectical lyric’ on the Akedah, the Biblical account of Abraham’s ‘binding’ of his beloved son Isaac (Genesis, 22:1-19), fundamental for all three Abrahamic religions: Judaism, Christianity, and Islam. The meaning of the Akedah has been debated and disputed for thousands of years by Jewish, Christian, Muslim, and (more recently) atheist thinkers. (The Qur’an does not name the son, and there has been debate in Islam as to whether it was Ishmael or Isaac, though today it is generally held to have been Ishmael.) Today, the Akedah is chanted from the Torah scroll in synagogues at the Jewish New Year, with great precision, though it is open to anyone to propose an interpretation of its meaning; in Christianity it is held to prefigure the crucifixion of Jesus; and in Islam animals are sacrificed round the world on Eid al-Adha (Festival of Sacrifice) to commemorate Abraham’s sacrifice of a ram ‘instead of his son’. The Akedah has been the basis of many great works of art, music, drama, and poetry. Kierkegaard emphasised that the sole purpose of his entire vast authorship, both direct and pseudonymous, was religious, though he fiercely denounced institutionalised religion (such as Danish 19th-century ‘Christendom’) as a corruption and perversion of living existential religion. But ‘existential’ therapists in particular routinely ‘secularise’ his writings, as Binswanger did in his discussion of The Sickness Unto Death in ‘The Case of Ellen West’. Is this a betrayal, purporting to reduce the religious to the secular-social-ethical in precisely the way that Johannes de silentio is criticising in Fear and Trembling? Or is it a clearing away of the religious rubble to reveal the human truth of these masterpieces? One of Heidegger’s most important early courses of lectures was on The Phenomenology of Religious Life (1920-21). But existential therapists often disparage the religious experience of their clients and are not open to its phenomenology. We shall try to show that Kierkegaard’s work is, among many other things, a fundamental investigation of the existential phenomenology of individual, non-institutionalised, religious experience, indispensable for an unprejudiced understanding of both our ‘religious’ and our ‘non-religious’ clients. In eight seminars over three years, of which you may attend any or all, we read closely the complex argument of Johannes de silentio. You are invited to explore in depth the rich variety of interpretations of the Akedah and Fear and Trembling, and their relevance for psychotherapy; and perhaps to arrive at your own interpretation(s). 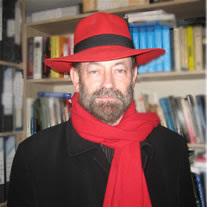 Raymond Tallis is one of our best-loved invited speakers. Today he conducts his sixth Inner Circle Seminar (his first was on 2 December 2012). It is the first seminar of a pair with the joint title Seeing Ourselves. Today’s seminar has the subtitle Rescuing the Self from Science, and the second one will be on 6 September 2020, with the subtitle Flourishing Without God. Tallis has shown in five profound Inner Circle Seminars that he is one of the world’s leading demystifiers of what he calls the ‘neuroscience delusion’ (‘neuromania’) and the ‘intellectual plague of biologism’ (‘animalism’). His ruthless, good-humoured exposure of reductive natural-scientism continues the tradition of Heidegger and Szasz, for example, but is utterly his own. Psychotherapists are free to choose to go on pretending to be ‘validated’ by ‘neuroscience’; but their work, such as it is, sometimes radically transforming and helpful, sometimes best passed over in silence, speaks for or against itself as the case may be, and no pseudo-scientific ‘validation’ can disguise this. Raymond Tallis is one of the select few who affirms and advocates the devoted use of devotedly human language to depict and describe the human world and human relationships. In his book Logos Professor Tallis exposes the absurdity of the argument that evolutionary biology or neuroscience show that our thinking is merely a function of our bodies-as-objects-for-science and therefore can have no truth-value of its own unless it is in some way itself derived from evolutionary biology or neuroscience, which are taken to be ‘objectively true’. But those sciences are themselves human creations, and therefore, by this argument, not ‘objectively true’. Professor Tallis remarks that those who use this argument are worthy successors of the Cretan of old who said all Cretans were liars. In today’s seminar he focusses on the so-called problem of ‘the self’ . Raymond Tallis was a Professor of Geriatric Medicine and consultant physician in Health Care of the Elderly. He has published two hundred research articles in the neurology of old age and neurological rehabilitation, as well as a novel, short stories, three volumes of poetry, and thirty books on philosophy of mind, philosophical anthropology, literary theory, the nature of art, and cultural criticism. He has received many awards and honorary degrees. In 2009, the Economist listed him as one of the world’s twenty leading polymaths. What have we learned from the eleven families? This utterly straightforward book is still not understood today, especially by ‘professionals’. But Hilary Mantel, who gained courage to become a novelist through reading it when she was nearly twenty-one, understood it. She urged readers: ‘Just read the simple words the people speak.’ In eleven seminars we have had a unique opportunity actually to hear and discuss with Hilary Mantel herself ‘the simple words the people speak’, from Esterson’s tape-recordings of his conversations with the families in the late 1950s and early 1960s, and from Anthony Stadlen’s reports and recordings of his 21st-century conversations with surviving members of the family. In her first Reith lecture Hilary Mantel discusses the relation between the historical novelist and the historian. She brings to our seminars the unique genius of an historical novelist who sees far more profoundly than the rest of us the implications of the known historical facts but does not present invention as history. Each seminar has begun with her wonderful reflections on what is given in the text of the book. She has no privileged access to the cases. She learns what Stadlen has discovered as an historian only as do the other seminar participants, when he reports or play recordings of his interviews with surviving members of the family half a century later and explore Esterson’s original library of tape-recordings on which the book is based. I spoke to five of the supposedly ‘schizophrenic’ women and many of their surviving relatives in the twenty-first century. Why is this nowadays rarely read or even referenced book of 1964 so important? It is, after all, absent from almost all discussions either of ‘the family’ or of ‘schizophrenia’. The extremely rare discussions of it patronise it, as if they had long passed beyond it; but without having begun to understand it, let alone catch up with it. It is true that R. D. Laing and Aaron Esterson’s research, reported in this masterpiece of 1964 and continued by Esterson in his profound The Leaves of Spring: A Study in the Dialectics of Madness (1970), was a concrete embodiment of the complex theoretical work of their most advanced and radical contemporaries of the 1960s: Jean-Paul Sartre’s Critique of Dialectical Reason and The Question of Method; Thomas Szasz’s The Myth of Mental Illness; and Martin Heidegger and Medard Boss’s Zollikon Seminars. Sartre highly esteemed Laing and Esterson’s work on families. Szasz had enormous respect for Esterson; he thought this book was on a higher level than Laing’s other books; he also thought Stadlen’s research following up the eleven families important. Heidegger would surely have loved the book, though it is unlikely he knew it; it embodies that straightforward openness and humanity he tried to convey in his Zollikon seminars, though he might well have asked: ‘Why drag in Sartre?’ Professor Friedrich-Wilhelm von Herrmann of Freiburg, Heidegger’s personal assistant whom he entrusted with editing posthumously his 102-volume Collected Works, and his wife Frau Dr. Veronika von Herrmann, particularly admire Laing and Esterson’s work. But almost all Daseinsanalysts, existential therapists, psychoanalysts, psychotherapists – and of course psychiatrists – ignore it. But the book is essentially simple. What did Laing and Esterson say that was so simple: too simple for ‘professionals’ to understand? Thus they introduced their great phenomenological descriptions of eleven families of ‘schizophrenics’. But, more than fifty years on, the ‘clinical viewpoint’ still reigns supreme. ‘Existential’, ‘Lacanian’, ‘Laingian’, ‘humanist’, ‘person-centred’ therapists and a galaxy of similarly impressively titled psychoanalysts and psychotherapists love to call themselves ‘clinicians’. The great and the good, including younger members of our royal family, seek ‘parity’ for ‘physical’ and ‘mental health’. This is well-intentioned but confusing. Indeed ‘it is good to talk’ – but not in this mystifying, pseudo-scientific language. 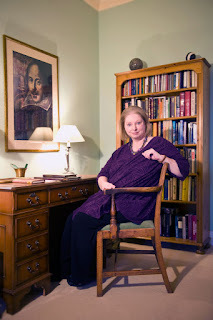 Hilary Mantel wrote that ‘the simple words the people speak’ in Laing and Esterson’s book gave her, when twenty years old, the courage to write her own books, which have been internationally acclaimed. Her introductions to the seminars in this series have enthralled participants with their sensitive understanding of, and deeply perceptive insight into, each family in turn. Anthony Stadlen, through his historical research, is able to answer some of Hilary Mantel’s questions. Stadlen accepted this challenge. He studied the very same families they studied. In these seminars we have been able to judge whether the very same supposed ‘schizophrenics’ they studied really were ‘talking a lot of nonsense after all’. If Laing and Esterson were not wrong, then, as they say, ‘we can begin to make sense of what psychiatrists, by and large, still regard as nonsense’. If we have been able to do this in most, if not all, of these eleven cases, what does this say about psychiatry, which has scarcely begun to understand this book? Your contribution to the dialogue will be warmly welcomed. 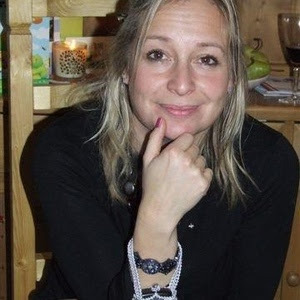 Existential and psychoanalytic psychotherapist (UKCP, BPC), Daseinsanalyst (IFDA Independent Effective Member for UK), family analyst (trained by Aaron Esterson), supervisor, teacher. Historical and philosophical researcher on classic case studies (Freud, Binswanger, Klein, Layard, Fordham, Boss, Laing, Esterson,...) supported by Nuffield Foundation and Philosophy Department, University of Essex. Founder (in 1996) of the monthly all-day Inner Circle Seminars in London: an international, interdisciplinary, ethical, existential, phenomenological search for truth in psychotherapy. Honorary Visiting Fellow, Regent’s School of Psychotherapy and Psychology, London. Former Research Fellow, Freud Museum, London. Thomas S. Szasz Award for Outstanding Contributions to Civil Liberties (professional category, 2003). Lay chazan (cantor) and leyener (Torah chanter) at Belsize Square Synagogue, London. Wu family disciple of Sifu Gary Wragg and advanced instructor personally certified by Grandmaster Wu Kwong Yu for Wu-style Tai Chi Chuan. Married to Naomi Stadlen, three children, three grandchildren. Recreations: badger watching, nightingale listening.